For several years I've visited the Theatre at the Center at the Center for Visual and Performing Arts in Munster around the holidays to see the musical of the season. This year that would be Miracle on 34th Street. Set in 1947 as the original motion picture was, it's the classic story of a skeptical young girl who has second thoughts when she encounters a very convincing Santa Claus hired by her mother to work the holiday season at Macy's. Directed by Linda Fortunato, the show features Courtney Jones, Christopher Kale Jones, Neil Friedman, who are all magnificent, but it's local 6th grader Stella Rose Hoyt who steals the show. If you need a little push of holiday cheer to get you in the spirit this season, this will no doubt do it. It's just as charming (or moreso) than the beloved holiday movie. 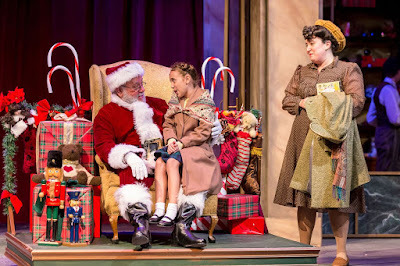 Miracle on 34th Street: The Musical runs through December 23. For showtimes and tickets, go to tickets.com or contact the box office at 219-836-3255. This past spring I was selected as one of six bloggers/influencers in the Chicago area to serve as WGN Radio Brand Ambassadors. A couple weeks later we were invited to a meeting at WGN Radio's offices and studio in the Tribute Tower to meet some of the producers and management and radio personality John Williams. 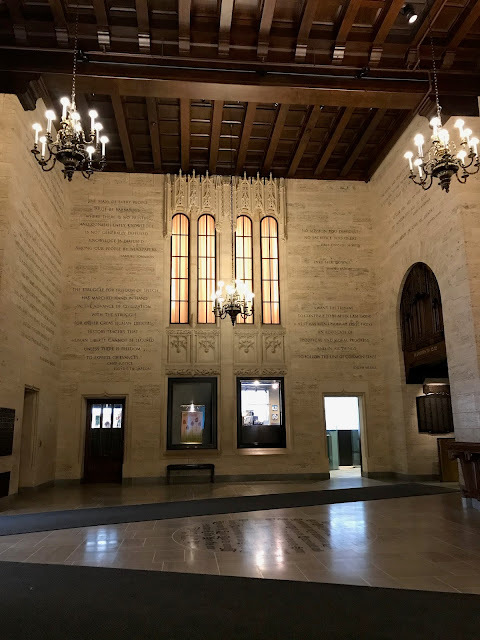 After some discussions and lunch in a conference room, we got a little tour that included some parts of the building that aren't open to the public and not many people get to see. It was quite a thrill.